High-resolution ultrasound IVP and Barium procedures 500mA x-ray machine and fluoroscopy unit. ISO 9001:2000 & NABL certified lab Department of Laboratory Medicine is open 24 hours a day and every day of the year. Fully automated instruments interfaced with the Hospital Information System and Laboratory Information System. Departments for biochemistry, haematology, serology, immunoassay, microbiology, electrophoresis, histopathology, cytology and clinical pathology. At Max Healthcare, we are totally committed to the age old adage, 'Prevention is better than cure'. Our Preventive Healthcare Programme comprises a comprehensive set of tests, which have been specially designed keeping your needs in mind. We also offer special packages such as the Platinum Preventive Health Program. Lab Services 24 *7 Max Labs is a 24x7 facility providing services for Max Patients, walk-in patients and non-Max clients as well. The operation theatre complex is located exclusively on the first floor. Sealed modular operation theatres utilise HEPA filters and hand/foot operated sliding sensor doors to minimise surgical site infections. The birthing suite has a separate caesarean section OT and labour room. A large post-operative area houses both surgical and day-care patients. is operational 24 hours a day. 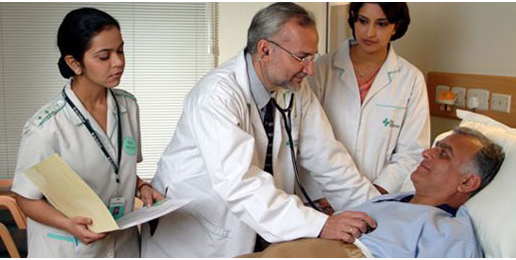 is supported by a dedicated team of experienced intensivists and nurses. has the most advanced monitoring systems, ventilators, PCA pumps, and syringe and infusion pumps. has personalised nursing care (dedicated nurse for every patient). supports patients suffering from life-threatening conditions such as trauma, asthma, accidents, pneumonia, encephalitis, cardiac ailments, severe infections and post-operative multi-speciality surgical cases. 14-bed state-of-the-art neonatal intensive care units. multi-speciality care for premature/sick babies. two consultant neonatologist and consultant level doctors in attendance round the clock. technical support includes incubators, ventilators, nitric oxide, neonatal surgery, surfactant therapy, state-of-the-art monitors and high frequency ventilators. staffed by highly experienced and internationally trained team of paediatric. provides care to critically ill children (round the clock). state-of-the-art technology: ventilators, nitric oxide, high frequency oscillators, sophisticated invasive procedures and bispectral sedation monitors with invasive haemodynamic monitoring.